Napleton's Valley Hyundai in Aurora, IL is known for our impeccable customer service. We not only strive to find each individual customer the perfect car, but also to provide a personalized experience to ensure you leave satisfied with your car. 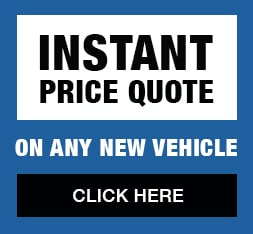 Take a look at our New and Used Car Specials. We service many towns outside of Aurora, IL, such as Plainfield, Naperville, Lisle, Downers Grove, Wheaton, Bolingbrook, Oswego, Westmont, Hinsdale, Batavia, Geneva, St. Charles, West Chicago, Woodridge, and Sugar Grove. Tempted to Test Drive a New Hyundai? Let Napleton's Valley Hyundai Put You Behind the Wheel in Aurora, Today! If there's one thing at Napleton's Valley Hyundai we love more than the lineup of new and used vehicles in our Aurora showroom, it's the excitement we get out of helping our clients all over the Chicago-Land area including Aurora, Darien, Downers Grove, Lisle, Naperville, Oswego, Plainfield, Westmont, Woodridge, Wheaton and all drivers to help them find their match. We take the time to explore the features that are important to you and our knowledgeable staff is here to answer all of your questions. But what would buying a new car be without a test drive first? Visit Napleton's Valley Hyundai where we'll get you out on the road to find a Hyundai vehicle perfectly suited to your needs. If you're in the market for a new car, you know to trust Hyundai. For that reason, Napleton's Valley Hyundai keeps a wide range of new Hyundai Elantra, Santa Fe, Sonata, Tucson and Accent vehicles in stock. Be sure to take a look at what currently have to offer, and be sure to contact us with any questions. Of course, if a test drive is in order, we're more than happy to set one up at your convenience. If you're looking for something that's tried and true, we have you covered there as well. At Napleton's Valley Hyundai we offer a high-quality lineup of used cars, and we've put them to the test. Inspecting them thoroughly, we've ensured that these pre-owned vehicles not only meet our high standards for quality, but yours as well. When the search for your next car ends, that's where the fun begins for our team of auto financing experts. They love searching for the best possible car loan or Hyundai lease solution for your needs in order to ensure you drive home completely satisfied, both with the vehicle you've chosen and the terms of your financing. Simply put, you're in good hands with Napleton's Valley Hyundai by your side. Even after the sale is complete, Napleton's Valley Hyundai continue to ensure you get the most out of your new or used Hyundai Elantra, Santa Fe, Sonata, Tucson or Accent. And how do we do that, exactly? First, by offering an incredible selection of Hyundai parts for you to choose from when maintaining your car. Second, by staffing a knowledgeable service and repair department to make sure you get more out of each and every mile you spend behind the wheel. Here at Napleton's Valley Hyundai we service all makes and models foreign or domestic owners with all of their automotive needs. Whether a new or used car is in order or a little maintenance at some point is required, visit us at 4333 Ogden Ave in Aurora, IL and we'd be happy to assist you.